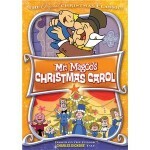 Mr. Magoo has been hired to play Ebenezer Scrooge in a Broadway musical with some adorable songs by Jules Styne and Bob Merrill. Mr. Magoo confronts a different group of ghosts, Ignorance and Want, and must learn a valuable lesson that he shares with the audience – and your friends and family. This version stays quite true to the original story and has brilliant special effects and methods of animation that will delight your family. 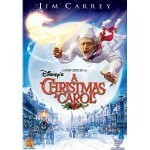 Jim Carrey does something quite unique here by not only playing Ebenezer Scrooge, but he also plays the ghosts of Christmas past. Gary Oldman plays Bob Cratchit, Tiny Tim, and the Ghost of Marley. With an all-star cast, and a unique way of retelling this traditional story, it’d make a great addition to your collection. With an all-star cast, this a version of the “A Christmas Carol” that you don’t want to miss! With Nicholas Cage as Marley, Simon Callow as Ebenezer Scrooge, and Kate Winslet as Belle, You are sure to recognize the voices of the cast while watching this remake of the traditional story. The DVD includes a music video with Kate Winslet, and there are also beautiful, theatrical openings and endings to the movie as well. 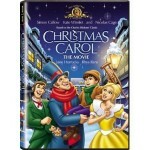 If you are looking for a new version of “A Christmas Carol” to add to your collection, this is a great one to consider! 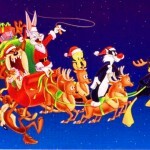 This wonderful Looney Tunes Christmas Cartoon focuses on a remake of the classic story, A Christmas Carol, by Charles Dickens. 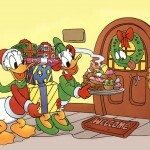 In this version of “A Christmas Carol,” Daffy Duck is Ebenezer Scrooge, a miserly, miserable, hard-hearted duck who can’t find the delight of Christmas – and forces all of his employees to work on Christmas Day! 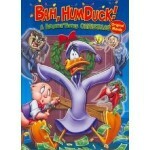 Daffy Duck is cruel to his poor, long-suffering manager, Porky Pig, but Bugs Bunny and the other ghosts will have to convince him that there is so much more to Christmas than just making money! 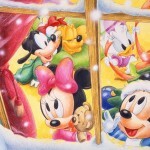 In this Christmas cartoon, viewers are taught a valuable lesson, along with the main character, Annie. She has just become the new president of the Drama Club, but the power and attention gets to her head, and she quickly forgets about the true meaning of Christmas. She is so focused on making money and making a profit, that she is blinded to what Christmas is all about, and a series of occurrences help her remember it again.